The creation of a sustainable and accessible higher education systems is a pivotal goal in modern society. Adopting strategic frameworks and innovative techniques allows institutions to achieve this objective. 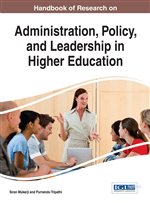 The Handbook of Research on Administration, Policy, and Leadership in Higher Education is an authoritative reference source for the latest scholarly research on contemporary management issues in educational institutions and presents best practices to improve policies and retain effective governance. Addressing the current state of higher education at an international level, this book is ideally designed for academicians, educational administrators, researchers, and professionals. Siran Mukerji, a Jawahar Lal Nehru scholar for Doctoral studies in Human Resource Development, has Masters in Distance Education and Public Administration. She has been International Research Fellow of Open University Business School (2009), Open University (UK). At Arab Open University Saudi Arabia, she was a faculty member in Business Administration. She is one of the Editors-in-Chief of International Journal of Technology and Educational Marketing and Author/Editor of Teaching Case books on Innovations in Educational Marketing, Interactive Technology Environments, Technology Enhanced Learning, Transnational Learning & Technologically enabled Environments, and Technological Adaptability and Transnational Learning. She has contributed articles in standard national and international journals and presented papers in national and international conferences. Dr. Mukerji is a member of review committees for numerous international conferences and journals. Her research interests include Performance Management and HRM in Open and Distance Learning institutions. As Deputy Director in IGNOU (India), she is responsible for student recruitment and related support services management. Purnendu Tripathi, an International Research Fellow (2009) of Open University Business School (OUBS) at Open University (UK), has a Ph.D in Management. At Arab Open University (AOU) Saudi Arabia, as a faculty member in Business Administration, he was faculty mentor, programme and course coordinator entrusted with the responsibility of training and development of the faculty members teaching in open and distance learning (ODL) environment, besides his own teaching and research in ODL. Currently, he is serving as one of the Editors-in-Chief of International Journal of Technology and Educational Marketing (IJTEM). He has authored/edited five Teaching Case books on Innovations in Educational Marketing, Interactive Technology Environments, Technology Enhanced Learning, Transnational Learning & Technologically enabled Environments, and Technological Adaptability and Transnational Learning. His current research interests include Higher Education Management, Higher Education Marketing, and Academic Program Life Cycle (APLC). In his parent institution, IGNOU (India), he is Deputy Director, looking after academic management and student support services in open and distance learning. 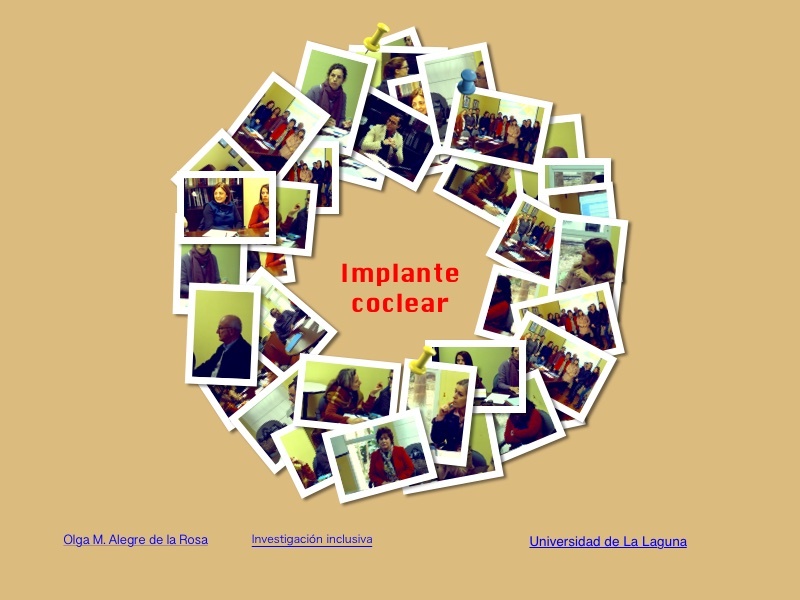 Blogs realizados con el alumnado de la asignatura de necesidades educativas especiales de cuarto curso de los grados de maestro de infantil y primaria.